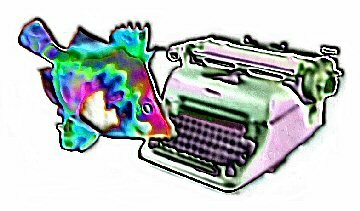 A Fish Needs A Blog: The Pig Gets Busted! I "used" a few of my co-worker friends the other day. Under the guise of inviting them over to see the Canucks pulverize (not!) the Chicago Blackhawks in game 4 of the best of 7 series where Vancouver was already down 2 games to 1, I had them all act as accomplices in the demise of my latest vacation fund piggy bank. I had to get them all in the mood for a lynchin' by plying them with food and beer. 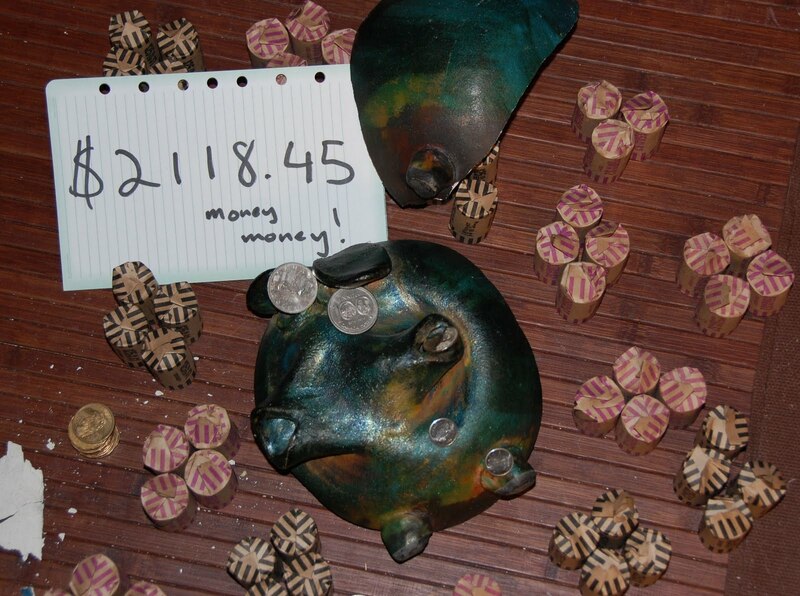 This being, of course, all part of my master plan which was that many hands make short work of rolling lots of coins! Above is the end result! After delivering a few blows with my trusty Estwing hammer on the backside of said ceramic porcine monetary receptacle, a huge pile of coins issued forth. It was not a bad haul for my 2 years-plus of coin saving, but I will have to keep my bookkeeper Mister Silversides away from the alcohol before he does the math next time. It actually added up to $2218.45, $2000 of which I put in the bank to help finance the upcoming trip. With current strength of the Canuck Buck vs the Euro it should go a long way in our travels in Morocco and elsewhere. Note the coins on the eyes in respect of the dearly departed porker. He also broke so gracefully under my hammer his intact but contorted face might end up framed and hanging on a wall! Essential Travel Gadgets, and some not.